I know nautical items have been trending across handmade, fashion, accessories and more recently, and because I am posting this week from the shores of Nova Scotia, surrounded by nautical-themed everything, I thought I would use it as a theme for this week's Covet post. I had a lovely lunch of Seafood Chowder at Lunenberg's Salt Shaker Deli yesterday that was the perfect seaside meal! 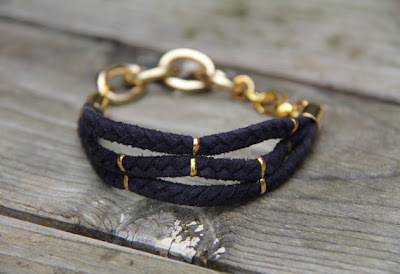 I love this nautical bracelet in navy, above, from Stonewire's Etsy shop, based out of Toronto. 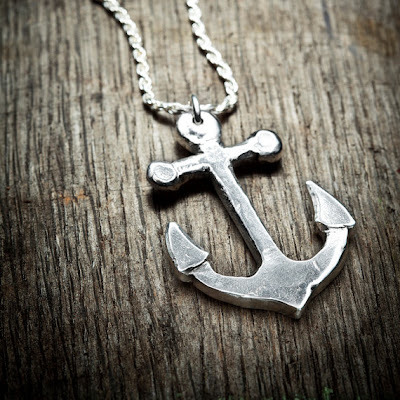 I also love this gorgeous anchor pendant, below, cast in sterling silver from my perrenial favourite Brazen Design. 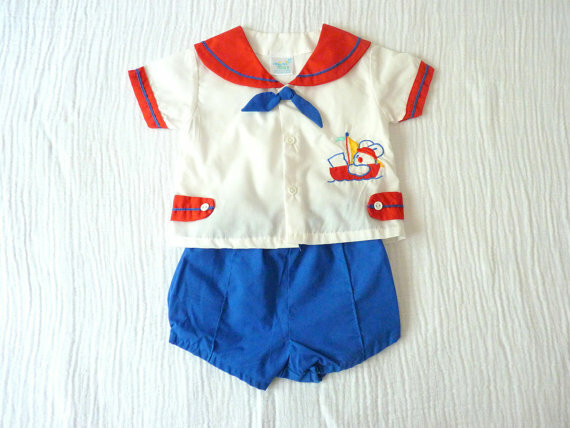 And finally, I can't help but wish my baby cousin Amanda (who we all know I'm obsessed with) was still small enough to fit into this extra-darling vintage sailor outfit from Lazer Baby Vintage which, for only $13, is beyond a steal. But Little Miss is celebrating her 2nd birthday next week, which I can hardly believe! That's it for this week's Covet Wednesday post from the lovely shores of Nova Scotia, I'll have more for you about my trip, yummy food and great pictures later this week. The vendors highlighted in this post are entirely Canadian!